Aloe Vera has been in used for over 5000 years, a food with a broad spectrum of nutrients, and having no adverse effects on the body. 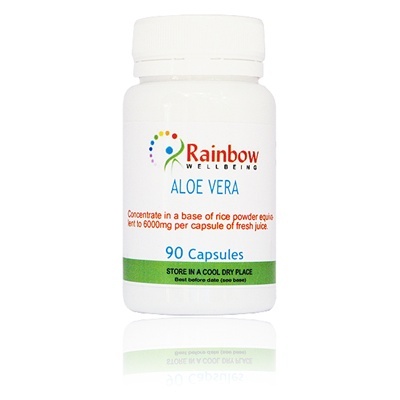 It contains at least 11 vitamins, 9 minerals, 18 amino acids, 8 mono polysaccherides, 7 fatty acids, 7 antiseptic agents, 3 analgesic agents, 4 anti-inflamanotory agents, 8 enzymes, and two specific natural defence enhancer's; Acemannan and Carrisyn. Before buying compare strength and quality. 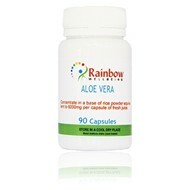 Each capsule contains the equivalent of 6000mg of whole leaf alovera in a base of organic rice powder. Take 4-6 capsules a day, more in times of extra need.